Arguably the best part of Dungeons and Dragons Third Edition was the Open Game License. By allowing other parties to make games inspired by the base Dungeons and Dragons rules, we, the gaming public, ended up with a ton of fun new games that ran the gamut in terms of style and substance. However, when Fourth Edition came around, Wizards of the Coast reversed this course and made the Game System License very restrictive. As a consequence, very few third-party products were published. When Fifth Edition was released, however, there was talk of the return of the Open Game License. However, it was not in sight for over a year, and during that time, I’ll admit I was worried it would never appear. But finally, the OGL for 5th Edition was revealed to the world, and we are starting to see the fruits of this license. And what fruit there is! Cubicle 7, the current producers of The One Ring RPG (based on the works of Tolkien), decided to convert their existing role-playing game to Fifth Edition D&D. In short, the results are marvelous. It brings a ton of new ideas to the D&D Fifth Edition system, and for the first time ever, Dungeons and Dragons exists in the world of Middle Earth! For this review, I’m going to assume you are familiar with D&D Fifth Edition (we did start as a 5th Ed blog, after all), so I will focus mainly on additions and changes to the core D&D5E rules. Like The One Ring RPG, Adventures in Middle Earth is set in the Wilderlands in 2946 of the Third Age. For the layman, that is the time between The Hobbit and The Lord of the Rings, geographically in the area that the majority of The Hobbit takes place (Mirkwood, the Lonely Mountain, the Dale, etc.) This is a smart decision on the developer’s part, since this area has a lot of details from The Hobbit, but the events that occurred there are not part of the main story of The Lord of the Rings. That way, you can run your campaign freely without worrying about interfering with canon (unless, of course, you or a player have read The Lord of the Rings appendices in detail). Instead of character races, Adventures in Middle Earth offers cultures, which is a better fit for the fluff of Middle Earth. Much like the books, they give very different traits to the various human cultures (as well as the different elf cultures). Thus, the humans from Bree/Rohan/Minas Tirith/etc act like a variant human race, which doesn’t match the traditional gaming definition of race. However, describing that the differences between each human type is due to the culture of where they’re from makes a lot more sense, and it takes advantage of the rich history of each region to give reason for these differences. The other major change from normal 5th Edition D&D is they have removed feats and replaced them with cultural virtues. Basically, they split the feats up among all the various cultures. I’m not sure if this is a good or a bad idea since that results in each culture only having access to four or five feats. That means if two players both choose to make characters from the same culture, they will end up making very similar characters. On the other hand, the characteristics of the various Middle Earth cultures are very defined, so this may not be a bad thing as it will force the player to truly embody that culture. That means you can’t create a character from a culture that would otherwise be too different from the norm. Personally, I have a few reservations about how this would work out game-wise, but I’m willing to give it a try. Adventures in Middle Earth scraps most of the classes from 5th Edition and brings us six new classes (well, six classes that are derived from the ones in the PHB). One of the first things you notice is the lack of spellcasters, which isn’t surprising based on the lore. For instance, while Gandalf is a “wizard” (technically a maiar), he is one of the only five that exist in Middle Earth. They do mention in the introduction, however, that if you want to throw canon to the wind and let a player be a caster, just take one from the PHB or any 5th edition compatible game and toss it in. The classes in Adventures in Middle Earth are as follows: the Scholar, which is the healer or the “skill monkey”; the Slayer, which are almost exactly like 5th Edition Barbarians with a few minor tweaks; the Treasure Hunter, which share many class abilities with 5th Edition Rogues; the Wanderer, which is the Ranger class without any spells; the Warden, which share a lot of abilities with Bards but also without any spells; and lastly, the Warrior, which is similar to the standard PHB Fighters. Each class also comes with two archetypes/expressions/subclasses like every other class in the 5th Edition PHB. I think there are enough roles so each class could have more than two, so time will tell if we will get more later. In the Lord of the Rings movies, a few of the characters give into despair that affects their actions and decisions, the best example of which is the “dragon sickness” Thorin develops in The Hobbit trilogy. The Corruption system in Adventures in Middle Earth emulates that concept. The idea reminds me of the 90’s White Wolf system or even the sanity mechanic in The Call of Cthulhu Role-Playing Game. Since the game doesn’t have character alignments, this system best represents how each character should behave in a given situation. There are a few things can raise your Corruption, such as Anguish, Blighted Places, Misdeeds, and Tainted Treasure. If your Corruption points ever go above your Wisdom score, your character gets the Miserable condition, which will make game play rather rough by causing you to fail Charisma checks and forcing disadvantage on all attack rolls. In addition, while you’re Miserable, whenever you roll an ability check, attack roll or a save and the number is the difference between your Wisdom and your current Corruption score (or lower), your character has a bout of madness. For example, if you have a Wisdom score of 10 and a Corruption score of 15, if you then roll a 5 or less for an applicable roll, your character experiences a bout of madness which will cause your character to do something they will later regret. You also start degenerating into a specific flaw, of which there are four levels. Once you’ve hit all four, you “succumb to the Shadow” and your character permanently goes mad (or if you’re an elf, you drop whatever you’re doing and head to Valinor). I found this chapter to be the most interesting addition in Adventures in Middle Earth. To summarize, the game assumes that player characters can only go on one adventure per year. It has fairly complex traveling rules, so you end up spending a lot of time just getting from one place to another. This makes sense given that majority of the plot of The Hobbit and The Lord of the Rings are the respective shenanigans the Dwarves get into while walking to Erebor and the Fellowship gets into while walking to Mount Doom. So a large amount of your characters’ time is traveling from point A to point B, going through the purpose of the adventure, and then returning home for the winter. What this means is that in the time span of each adventure from beginning to end, your character is assumed to age a year, which is a change from standard D&D assumptions. When I was running the Shackled City adventure path (Would you like to know more? ), the timeline of the campaign was a bit less than two years. In that time, my players went from level 1 to 20. Other 5th Edition adventures similarly take place in a fairly short period of time. However, in Adventures in Middle Earth, there is a definite possibility of your character getting so old that they cannot continue adventuring. 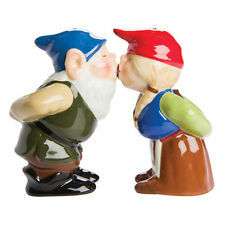 Your character is also encouraged to have a life outside of the adventuring party and get married and raise a family. So your children can very well take up your mantle and take your place in the party after you retire. Who will be your Frodo when you decide to stay in Rivendell to write your memoir? There are no set rules for creating your heir, but the game makes you consider playing multiple characters during the course of the campaign. That definitely shakes up gameplay, and you can use that idea to shake up other D&D settings. While the game does have a few hiccups and odd design choices, I’m a fan of Adventures in Middle Earth. It’s far from a complete game system (for that you need to pick up a copy of the Adventures in Middle-Earth Loremaster’s Guide), but there’s certainly enough there to fire up a Middle Earth campaign. My favorite features are the classes since they capture the feel of the original books and movies. And since none of them are spell casters, this is a great low magic D&D 5th Edition variant. I’ve even had a few game ideas using the classes from this book while keeping the races and feats from the PHB. So even if you don’t have any desire to run a campaign set in Middle Earth, I heartily recommend this book to add to your D&D 5th Edition arsenal. And, to paraphrase Tolkien, have something Tookish wake up inside you, and then go and see the great mountains, and hear the pine-trees and the waterfalls, and explore the caves, and wear a sword instead of a walking-stick! 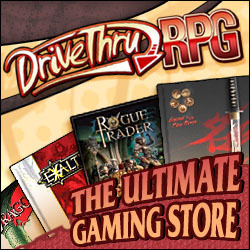 The Adventures in Middle-Earth Players Guide is available now from Drive Thru RPG!